Your proposal is a surprise, so why shouldn't the engagement mounting you choose have surprise diamonds, like this one from the designers at Ritani? 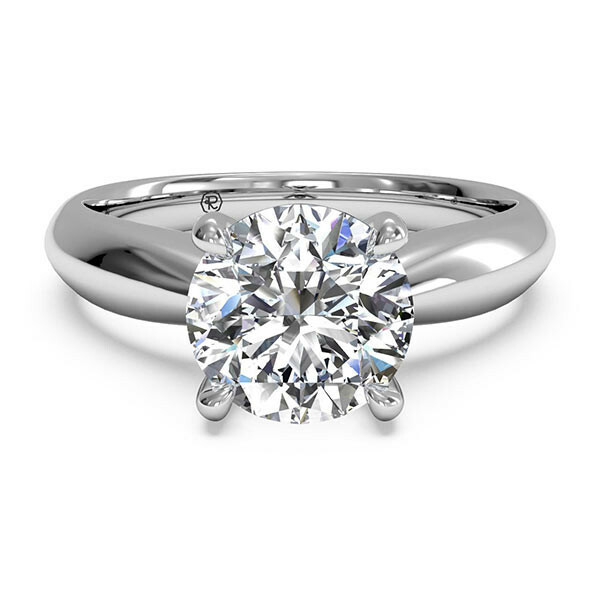 Your round brilliant solitaire will shine brightly from its four-prong setting on a tapered precious metal band. A stunning side view reveals bezel-set diamonds beneath the center stone. Shown in 18kt white gold, you may also select rose gold and platinum finishes. This Ritani engagement mounting is astonishing!